Come enjoy an exciting weekend at ESPN Wide World of Sports Complex’s largest 3-day soccer tournament! Disney Memorial Day Soccer Tournament attracted more than 600 teams in 2018—that resulted in more than 1,000 soccer matches in just 3 days! Experience even more of the magic at Walt Disney World Resort with FastPass+. 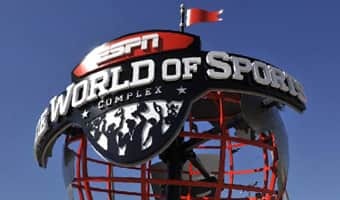 Now, you can experience the Walt Disney World parks the way you want, both before and after your team competes at the ESPN Wide World of Sports Complex. If you are going to be a Guest of a Disney Resort hotel, learn more about all of the exciting FastPass+ options available with your hotel stay. 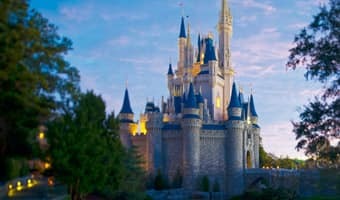 Take advantage of specially-priced Walt Disney World® Theme Park and Resort Packages, available specifically for this event. In addition to the Resort amenities like the ESPN Wide World of Sports Channel, your team will celebrate with heart–pounding rides like Expedition Everest® at Disney's Animal Kingdom® Theme Park or Rock 'N' Roller Coaster® Starring Aerosmith at Disney's Hollywood Studios®. Competing at ESPN Wide World of Sports is a magical experience both on and off the field! For complete details, including any travel purchase requirements for this event, visit the Planning Tab above. Our service and expertise ensure an event experience like no other! Traveling with a team can be hard work, so we've designed solutions to help you make the most of your trip. Our Disney Parks Moms Panelists can answer your Disney travel questions, and our team meal delivery options and expert sports photography services allow you to pre-plan for meals and memories. 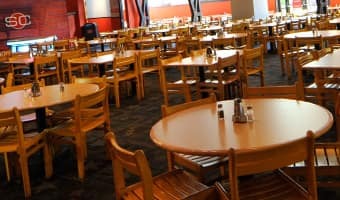 Once you arrive, you'll find first-class event management at a family-friendly environment for team, complete with on-site Guest Relations Cast Members for any day-of needs. Start planning today by clicking the Planning tab above. Competing at ESPN Wide World of Sports Complex at Walt Disney World Resort means you'll get to play where the pros play. Home of the Atlanta Braves Spring Training and the Walt Disney World® Pro Soccer Classic, ESPN Wide World of Sports Complex features professionally maintained competition venues. Click the Map to the right for a detailed view of the Complex. This is an FYSA Sanctioned Tournament, which is open to all USSF/FIFA affiliated organizations for boys and girls. Ages 9 through 19 may participate. Ages are based on USYSA guidelines for 2018/2019 birth year and season.